Need a quote on the costs of our services or would like to ask us a question about any of the construction solutions we offer? You can get in touch with AJ Marshall using your preferred method of contact below. 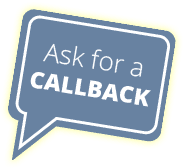 If emailing us or using our enquiry form, we aim to respond within 48 hours of contact. We work across London and the Home Counties including Kingston-upon-Thames, Staines, Guildford and the surrounding areas. This is based upon a 30 mile radius of Dene Bungalow. For a brief overview of what AJ Marshall has to offer you, take a look at our video. For further information, browse the rest of our website or get in touch with us.